A recent survey of bank performance by Bank Director, an informational company that tracks such things, has graded some of America’s most well-known financial institutions in a variety of categories. And the results suggest that bigger is not always better. BB&T Corp. received top honors for core deposits, which help financial institutions make cost-effective loans. Core deposits are those assets banks have from the geographic regions served by branch locations. They are usually more stable and have lower costs to maintain than other types of deposits. Customers who provide core deposits often have borrowing relationships with the bank as well. Bank Director noted that BB&T’s core deposits have been growing at 27% annually. 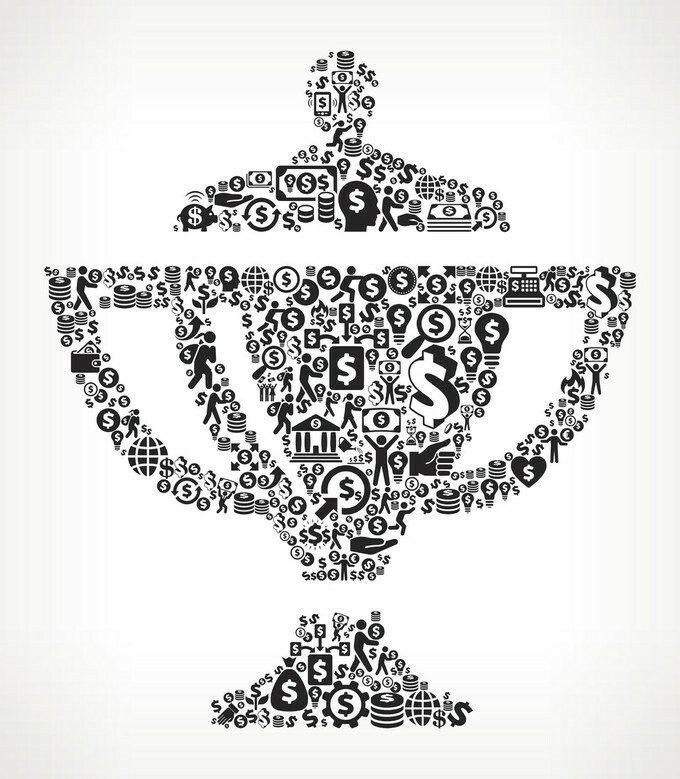 BB&T overcame Capital One, PNC, and Chase to take the top honor. Wells Fargo was graded top dog in this category. With more than 6,000 brick-and-mortar locations, Wells Fargo beat out Chase, who ended up in second place with 5,300 locations. More branches don’t necessarily mean better, however, as Chase has more deposits. And Citibank was graded as the most efficient, with $1.3 million in deposits per branch. Bank Director noted that the average size of a new branch has been declining in recent years, most likely due to the shift to on-line banking. The calculated decline was more than 20%. Over 3,000 branches were also closed between 2006 and 2016. JPMorgan Chase & Company received first place here. Bank Director looked at app downloads, customer reviews, and commentary from industry experts. Approximately 23 million Chase customers use the company’s mobile app to perform at least one type of banking function. Bank Director said that Chase was more successful than its peers in convincing old school customers to try digital banking. Between 2014 and 2016, the Chase app was downloaded nearly 30 million times. By comparison, TD Bank’s mobile platform was downloaded just 3.9 million times and has lower reviews. Bank of America received the top prize here, largely because of its ownership of Merrill Lynch and Merrill Edge. The financial conglomerate boasts over $8 trillion in assets across banking and investment divisions. The company earned almost $18 billion in revenue from its wealth management services last year. This enormous asset management department easily surpassed SunTrust, which earned just $585 million. Nevertheless, it took Bank of America 18,700 financial advisors to pull in that much revenue. Citigroup’s wealth management program, by comparison, generated almost $3 billion using just 715 advisors, which shows a higher level of efficiency. The importance of the people behind a company can never be underestimated. Bank Director understands this; so it looked at the Board of Directors of America’s big banks and thought Citigroup had the best-managed company. It particularly liked the stock performance of the company since new CEO Michael Corbat took the helm. Bank Director believed that the new executive, combined with a new Chairman, had made Citigroup more streamlined by eliminating non-core businesses and cutting costs throughout the corporation. TD Bank came in second in this category, while PNC received third place. The most notable financial institution on the list is US Bank because it has a relatively small asset base—just $446 million. This is quite a bit smaller than TD Bank’s and Citigroup’s, neither of which made it in the top five.